Humbly recognizing the responsibilities entrusted to them as members of the River Rouge Fire Department, an organization dedicated to the preservation of human life and property, the River Rouge fire fighters have pledged themselves to perform their duties honestly and faithfully to the best of their ability, without fear or prejudice. They promise to aid those in danger or distress and strive to make the city, state, and country a safer place in which to live. The River Rouge fire fighters commit to waging an unceasing war against the ravages of fire and consider no sacrifice too great in the performance of their duties. They are dedicated to obeying the laws of the United States of America and the State of Michigan and supporting and defending their constitutions against all enemies whomsoever, foreign and domestic. They will always be loyal to and uphold the honor of the River Rouge Police Department. 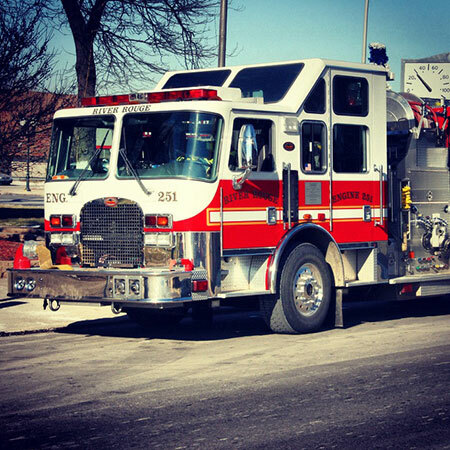 The River Rouge Fire Department is an active participant in the Downriver Mutual Aid Association whose members include the fire departments of the Downriver communities. The Association sponsors a special operations group consisting of a hazardous materials response team. The Department contributes personnel to this team. Additionally, River Rouge is also part in an Automatic Aid agreement with the City of Ecorse Fire Department. The Department also participates in HEMS, Inc., the emergency medical control authority. 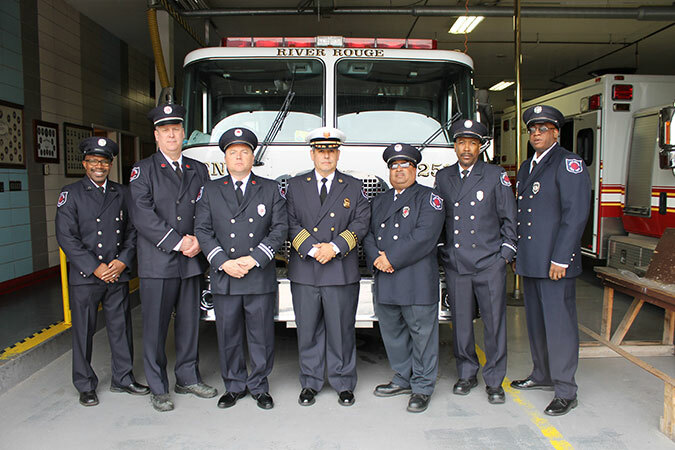 The River Rouge Fire Department is also responsible for fire education, ensuring fire code compliance, and commercial inspection services. With questions regarding fire prevention education, fire inspections or fire investigations, please contact Fire Chief Cruz at (313) 841-0360. The River Rouge Fire Department provides fire suppression to the the city's residents and businesses. The members of the Fire Department are responsible for responding to all fire emergencies. They also oversee the maintenance and repair of the fire trucks and fire apparatus. 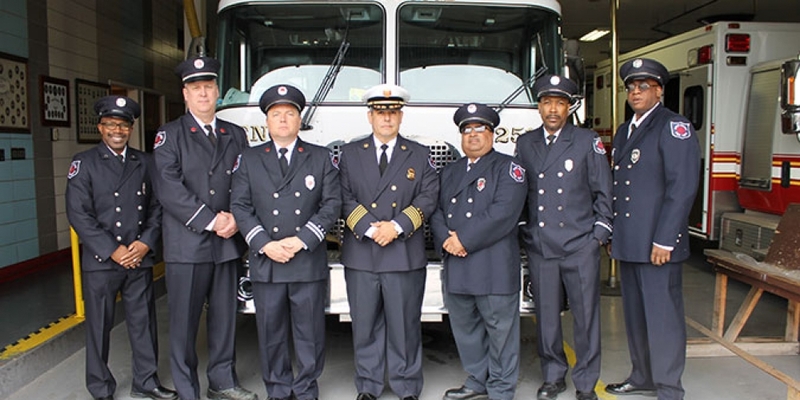 Chief Roberto Cruz began his career with the River Rouge Fire Department as a fire fighter in August of 1993. In Chief Cruz's time with the Fire Department, he has earned his Michigan Paramedic License and has served in the ranks as a Sergeant, Lieutenant and Fire Marshall. Chief Cruz completed the Easter Michigan University's School of Fire Staff and Command in 2009. He has received certifications from the Michigan State Police Fire Investigations courses. He attended the Wayne County Regional Police Academy and became a certified police officer in 2012. Chief Cruz received a Bachelor of Public Safety Studies from Siena Heights University in 2013. He became the Fire Chief of the Fire Department in January of 2015. Chief Cruz is the City's representative on the Downriver Fire Investigation Task Force. He also performs inspections on all of the businesses in the community. He is also responsible for the City of River Rouge's Fire Prevention Program which educates residents on how to prevent and protect against fire hazards.